Looking for a unique 5th anniversary gift? 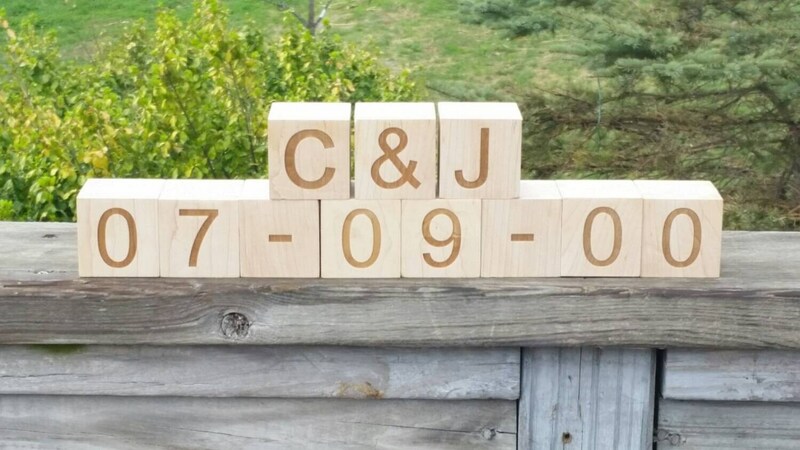 Our beautifully crafted building blocks that are engraved with your initials and wedding date will make a perfect gift for your spouse. Place them on your foyer table, fireplace mantel, master bedroom entertainer center, on your desk, etc. Each block is 2 inch square. Blocks are made from solid wood. Thank you for visiting FineGiftsEngraving.Etsy.com where fine craftsmanship and beautiful engraving meet.